The slogan, “Built Ford Tough” isn’t just a catchy phrase that Ford likes to say, it’s the truth. Whether you’re looking at trucks, cars or SUVs, Ford builds every model with unsurpassed reliability and toughness that has made the brand so popular in America for decades. 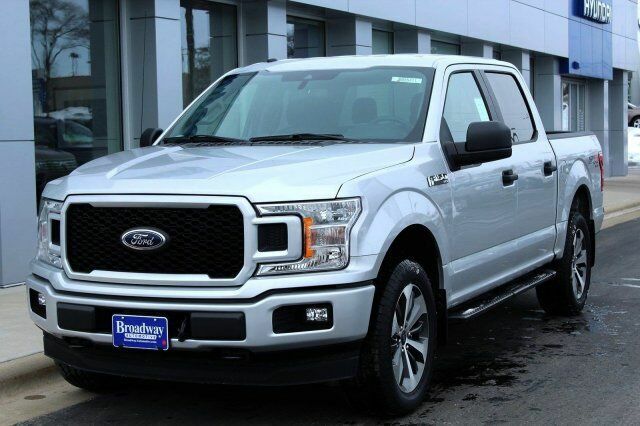 If you’re in the market for a new Ford Vehicle, then there’s no better place to go than Broadway Auto on Military Avenue! 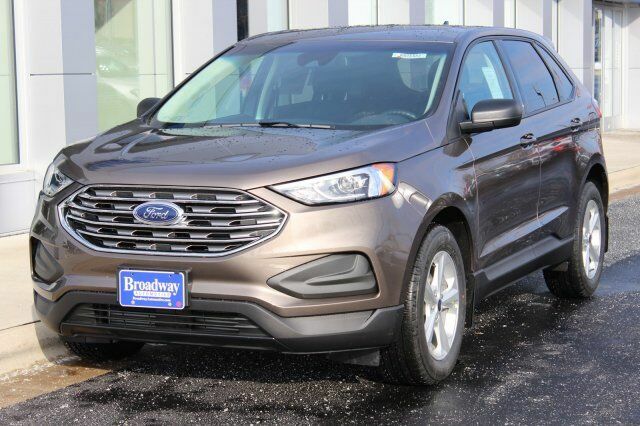 For years, Broadway Auto has been the premier destination for Ford vehicles in the Green Bay and northeast Wisconsin area. Our extensive selection of Ford trucks, cars and SUVs has something for everyone. Our diligent staff will work with you to find the right vehicle that fits all your needs and fits within your budget. View our special offers below and contact our staff to get started and drive home with your Ford vehicle, today! *Available to approved credit thru Ford Motor Co. on 2019 Ford Fusion. $229/mo lease is based on 36mo/10,500 miles/year, plus $4,025 down payment. First month’s payment, tax, title, license and service fees extra and due at delivery. No Security Deposit. Includes manufacturer incentives: $1,500 RCL Customer Cash. Ends 4/30/19. See dealer for details. *Available to approved credit thru Ford Motor Co. on 2019 Ford F-150. $289/mo lease is based on 24mo/10,500 miles/year, plus $5,670 down payment. First month’s payment, tax, title, license and service fees extra and due at delivery. No Security Deposit. Includes manufacturer incentives: $750 Bonus Customer Cash and $250 RCL Customer Cash. Ends 4/30/19. See dealer for details. *Available to approved credit thru Ford Motor Co. on 2019 Ford Escape. $199/mo lease is based on 36mo/10,500 miles/year, plus $4,985 down payment. First month’s payment, tax, title, license and service fees extra and due at delivery. No Security Deposit. Includes manufacturer incentives: $2,000 RCL Customer Cash. Ends 4/30/19. See dealer for details. *Available to approved credit thru Ford Motor Co. on 2019 Ford Edge. $259/mo lease is based on 39mo/10,500 miles/year, plus $5,250 down payment. First month’s payment, tax, title, license and service fees extra and due at delivery. No Security Deposit. Includes manufacturer incentives: $2,000 RCL Customer Cash and $250 Select Inventory RCL Customer Cash. Ends 4/30/19. See dealer for details. Cars may not be the first thing you think about when you think of Ford, but there’s no doubt that when it comes to reliability and value, Ford takes second to no one. Whether you need a full-size sedan with lots of performance, like the Taurus, or an efficient hatchback, like the Fiesta, or just want a classic sports car, like the Mustang, Ford has got what you need! No other brand is more synonymous with the pickup truck than Ford. Thanks to the Ford F-150, the world’s most popular pickup truck for years, Ford has set the bar time and time again when it comes to capability, performance and durability. Now, Ford also offers the new Ranger pickup, a midsize pickup truck for those who want capability and efficiency. SUVs are more popular than ever, and drivers have more options than ever thanks to Ford’s extensive lineup of SUVs and crossovers. Whether you want something small and efficient, like the EcoSport, large and spacious, like the Expedition or Explorer, or something in between, like the Escape or Edge, Ford has an SUV that’s just right for you. 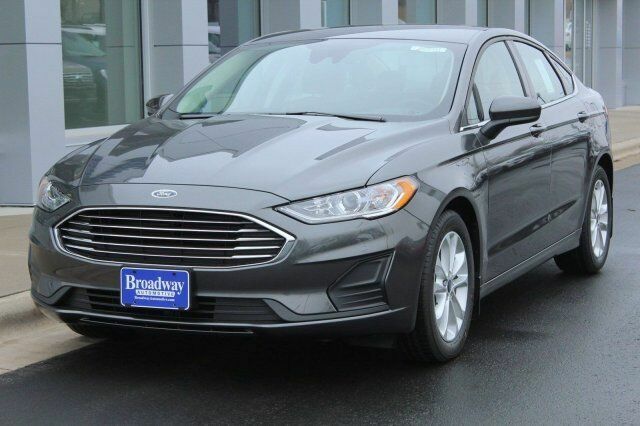 Lease a New Ford Vehicle at Broadway Auto in Green Bay, Wisconsin! Want to learn more about Ford and its extensive lineup? Contact our staff at Broadway Auto for more information or to schedule a test drive today!